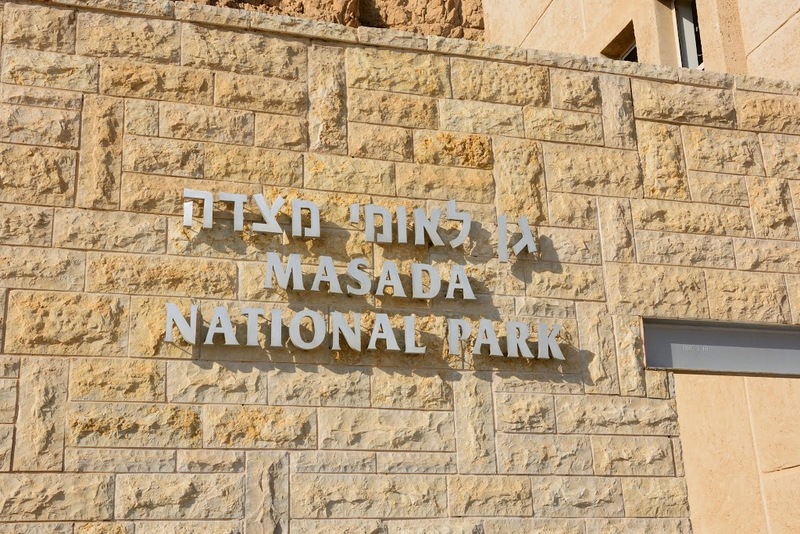 After breakfast and committing the day to the Lord in prayer, we were whisked off to dead sea wilderness area to Masada National Park. 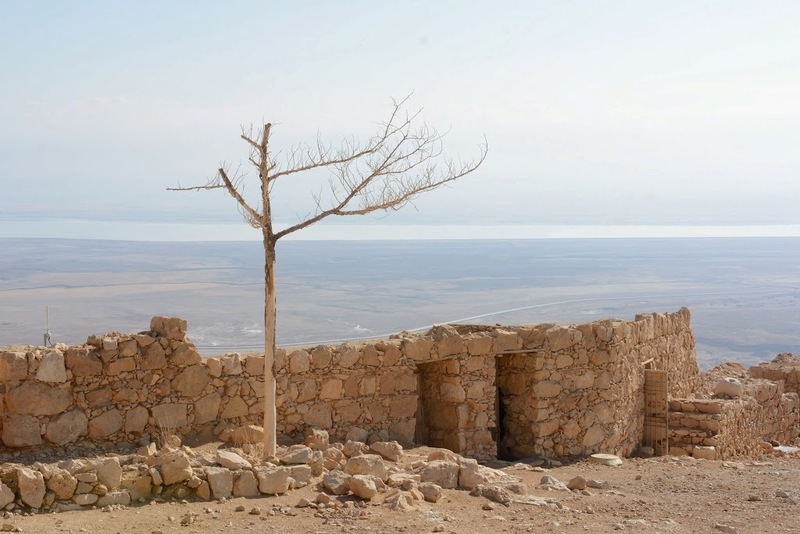 It was wilderness and more wilderness along the way. 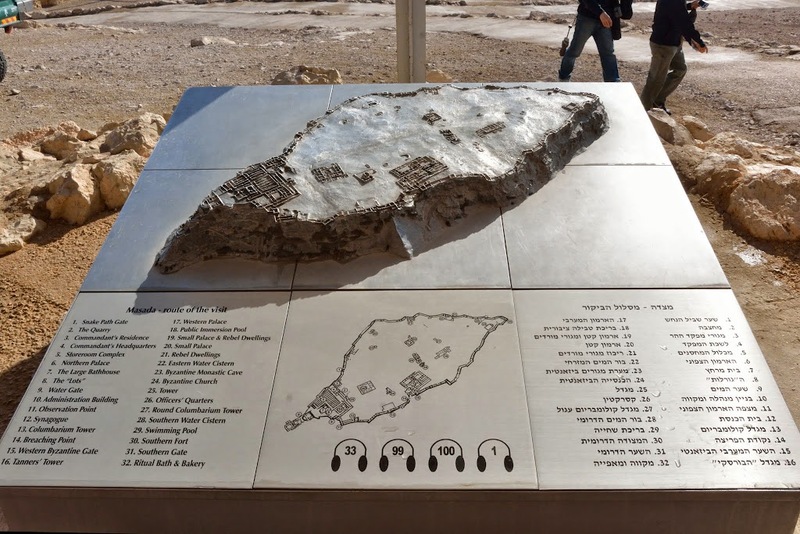 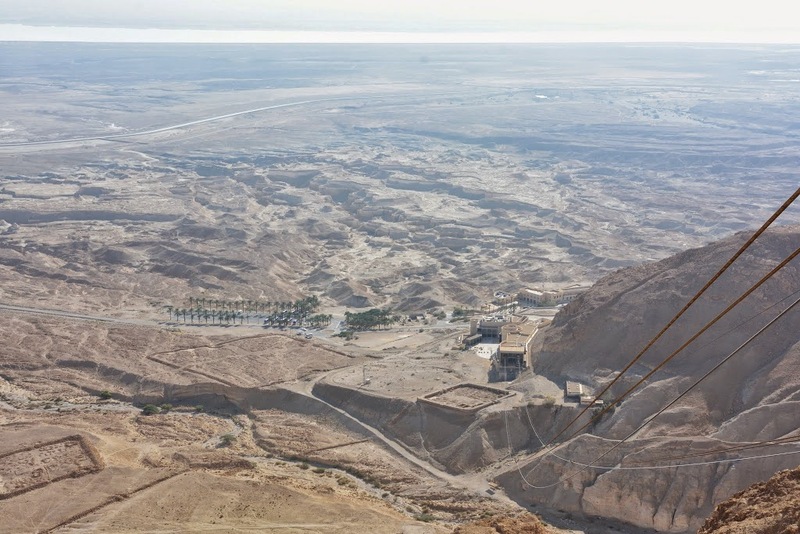 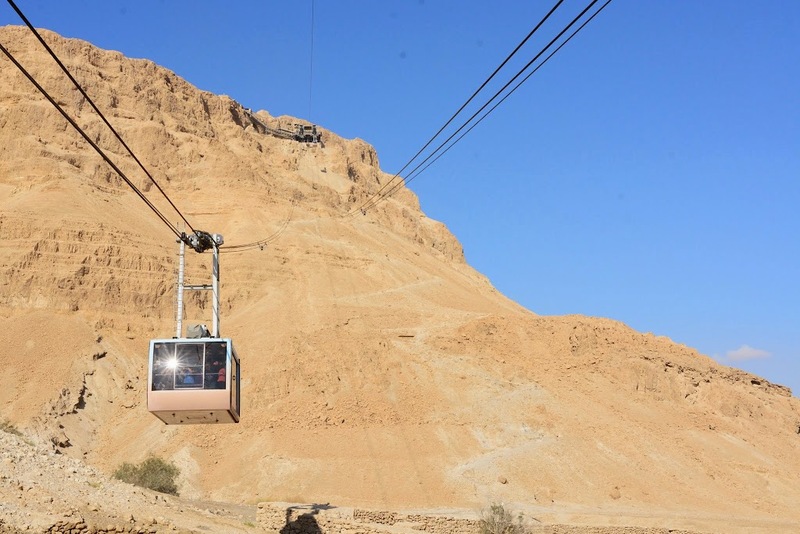 Masada is located on a diamond-shaped flat plateau (600m x 200m). 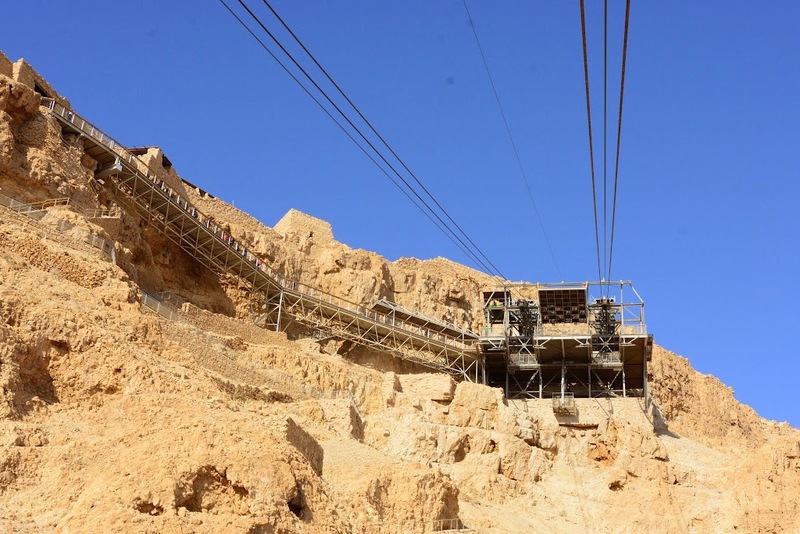 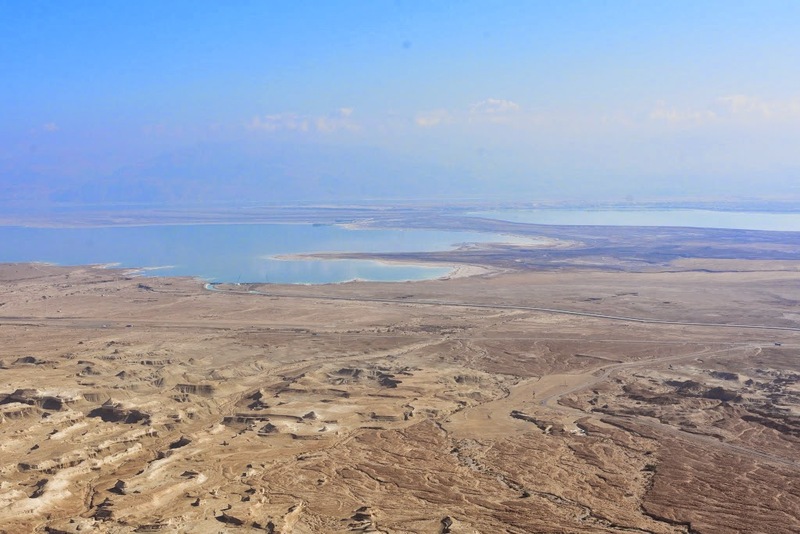 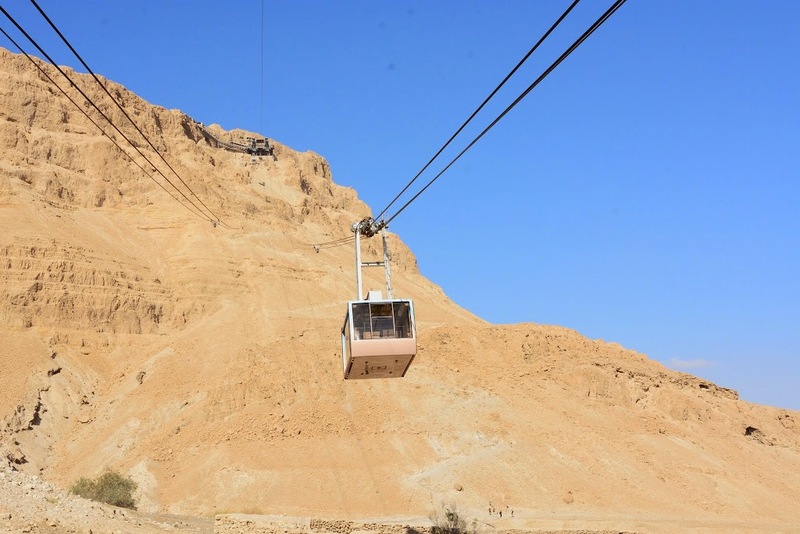 The hill is surrounded by deep gorges, at a height of roughly 440m above the Dead Sea level. 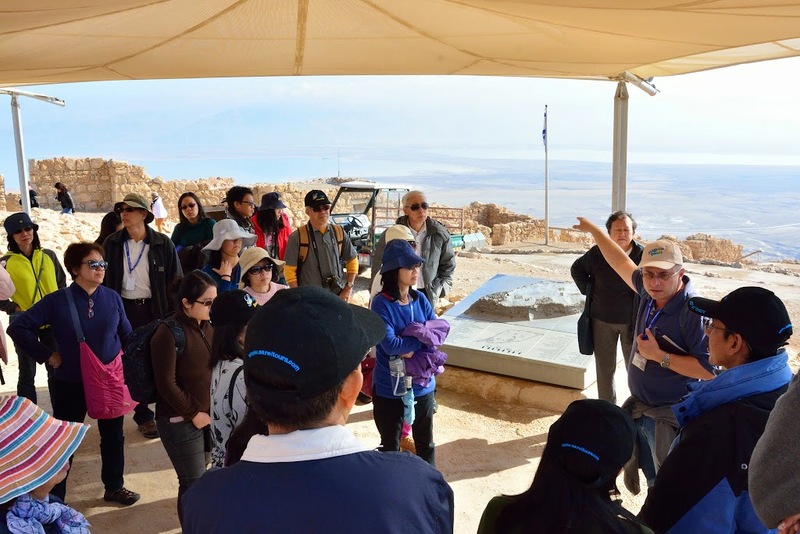 Masada became a symbol for a heroic 'last stand' for the State of Israel and played a major role for Israel in forging national identity. 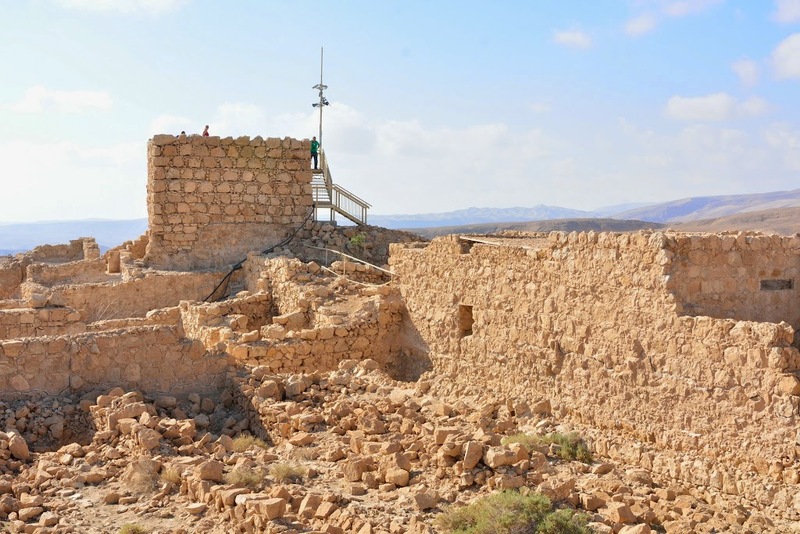 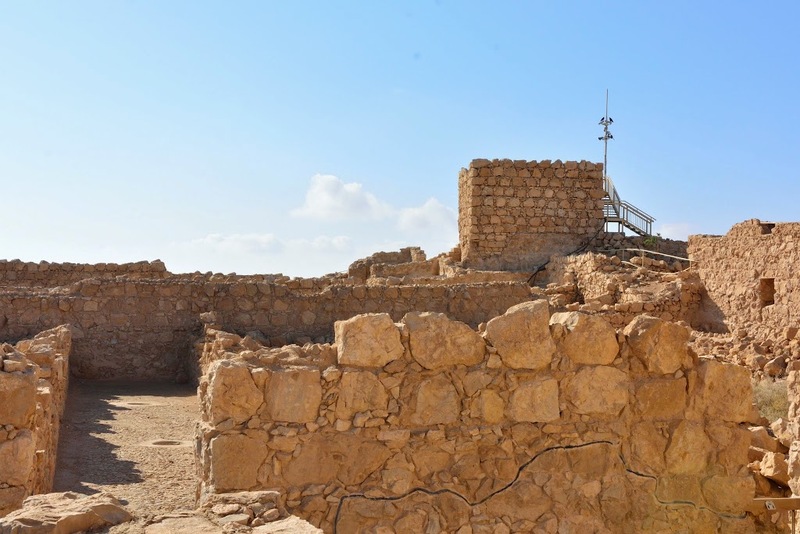 At the beginning of the great revolt against Rome in the year AD 68, the site was conquered by a group of Jewish zealots, and Masada became their last stronghold. 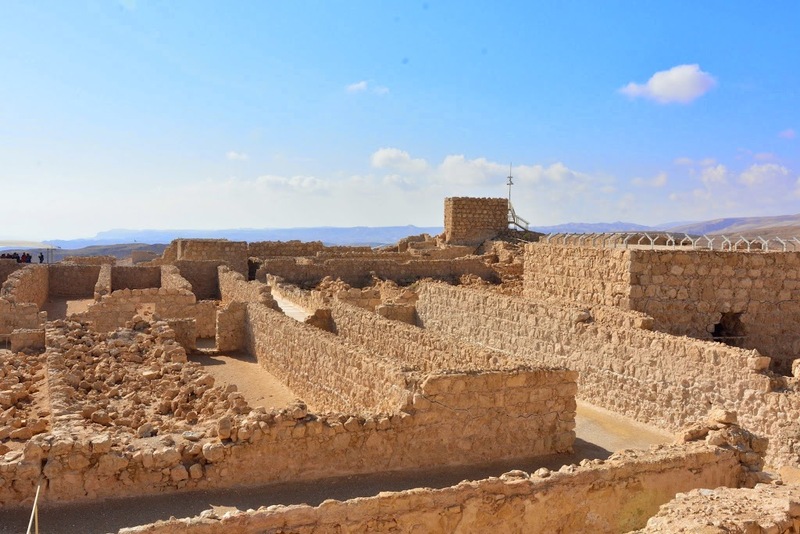 In the year 72 the Romans besieged Masada and succeeded in reaching the steep fortress. 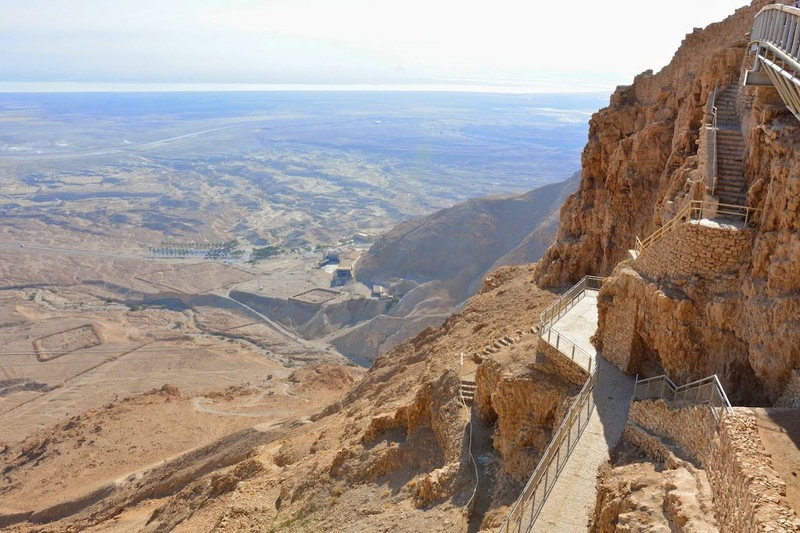 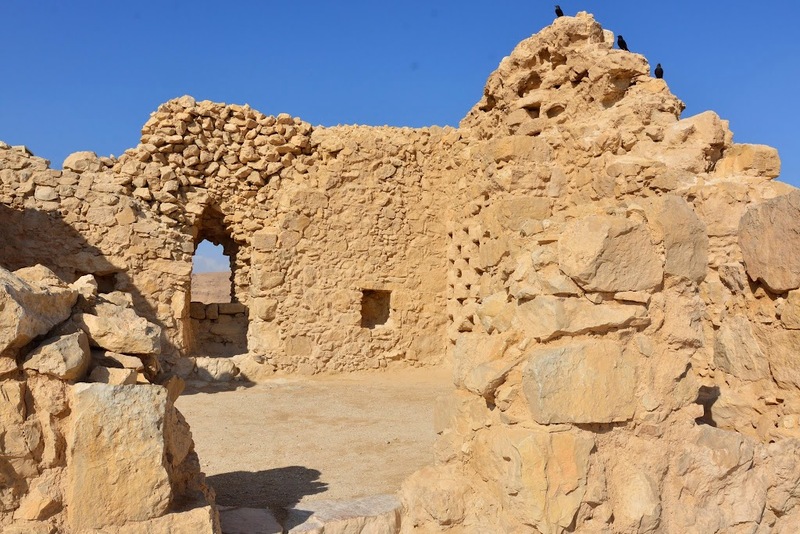 In the year 73, the 960 Jewish zealots living at the top of Masada chose to commit suicide rather than to fall into the hands of the Romans alive. 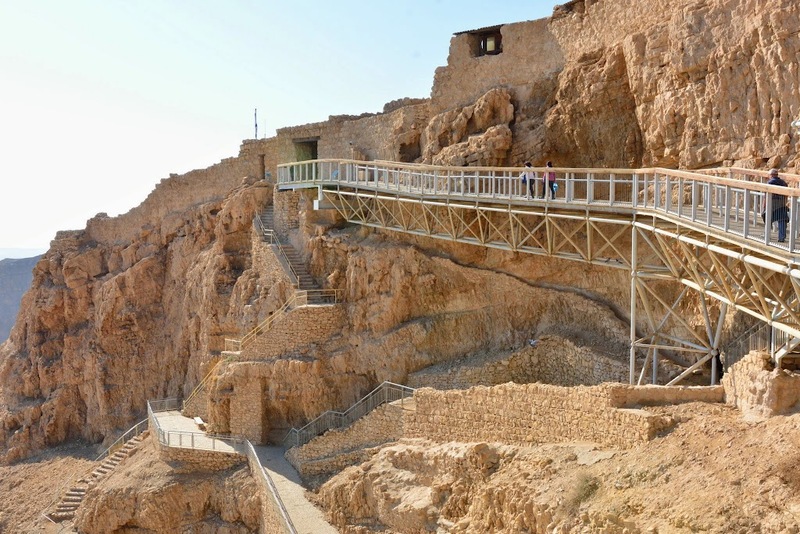 The most impressive structure on Masada is King Herod's northern palace, built in 30 BC on three rock terraces overlooking the gorge below. 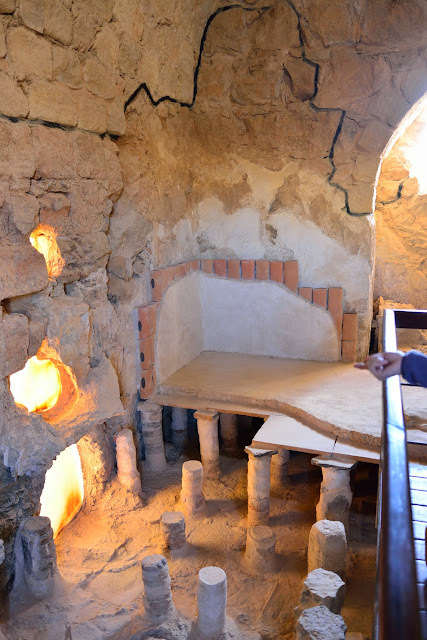 Near the palace is a large Roman style bath house with a colourful mosaic floor and walls decorated with murals. 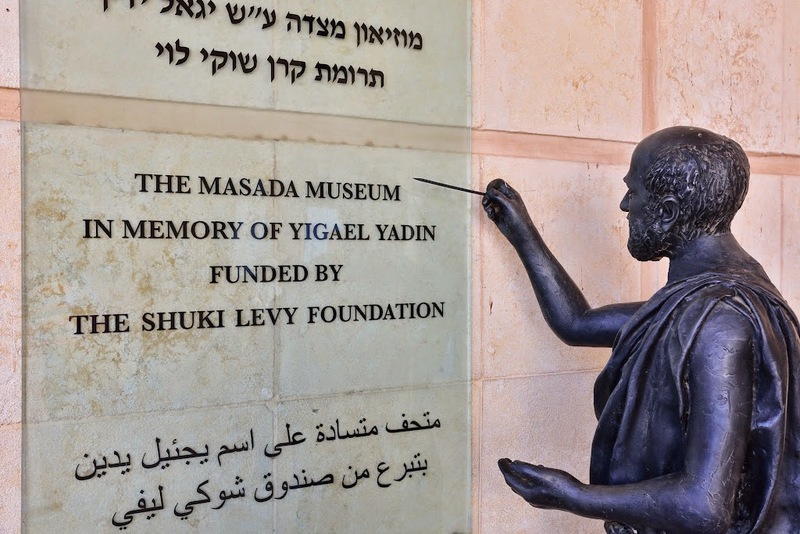 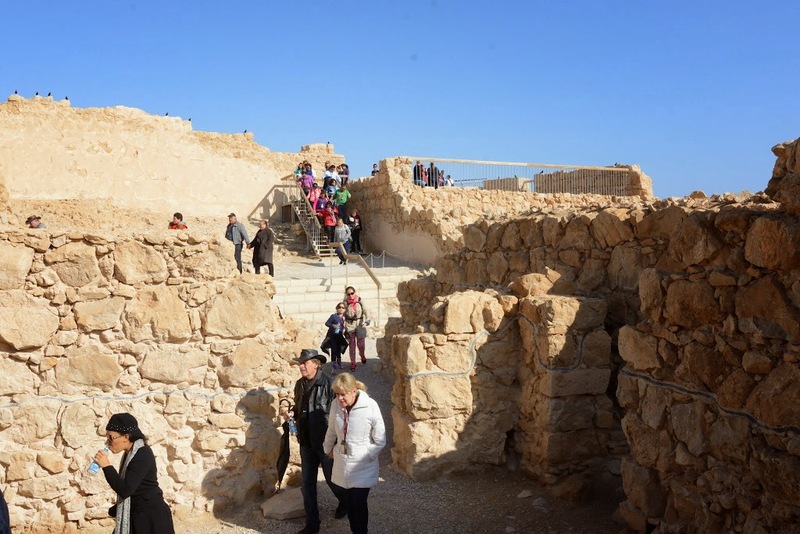 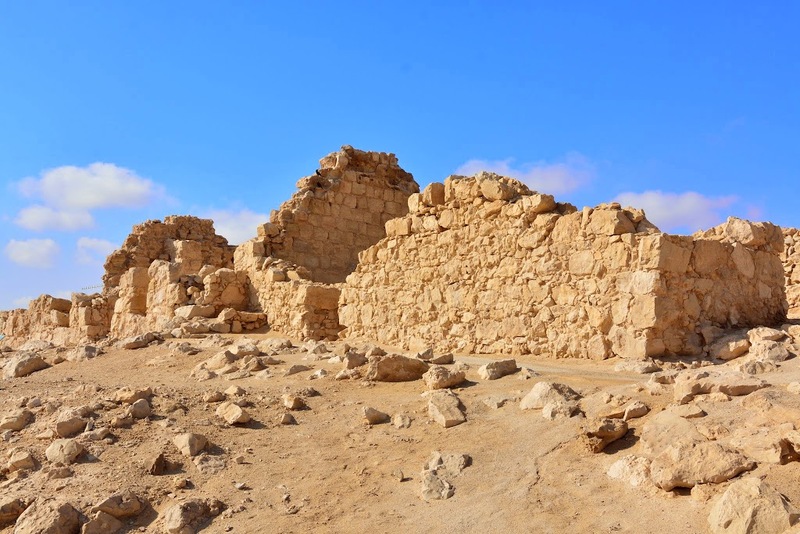 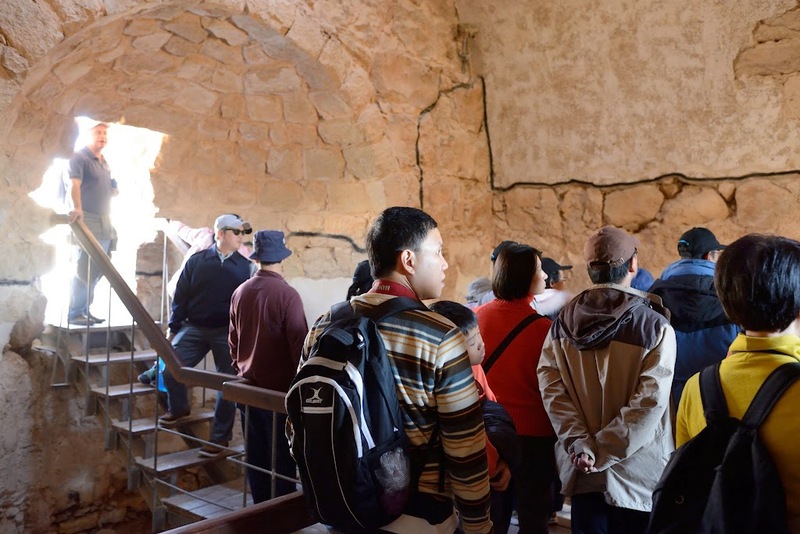 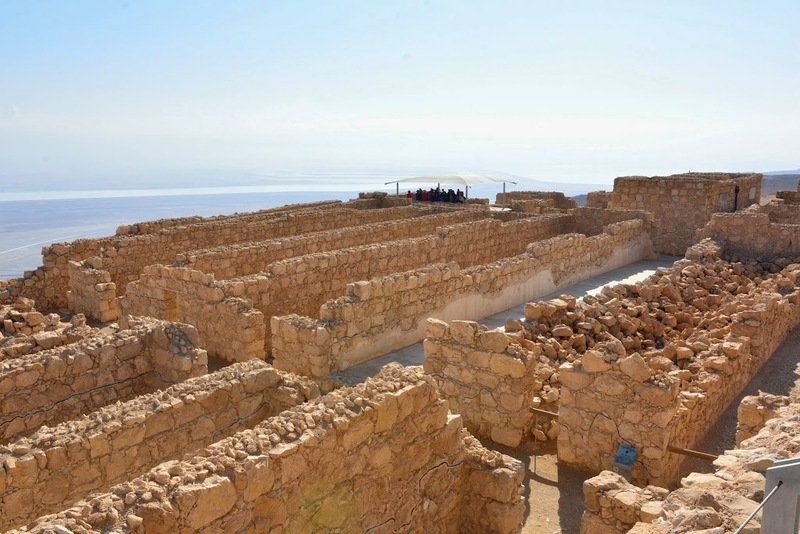 Many other buildings at the site - such as the luxurious western palace, the mikveh (Jewish ritual bath), storerooms, watchtowers, and synagogue relate the history of Masada, especially when viewed with artefacts such as storage containers, decorated pottery, scrolls, and coins. 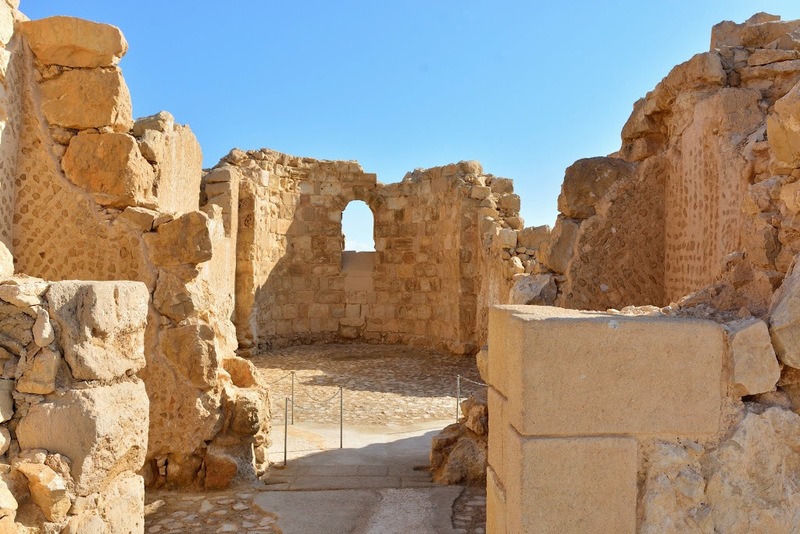 The beautiful embossments and murals that were discovered on the walls of buildings on Masada were restored by Italian experts to preserve them for years to come. 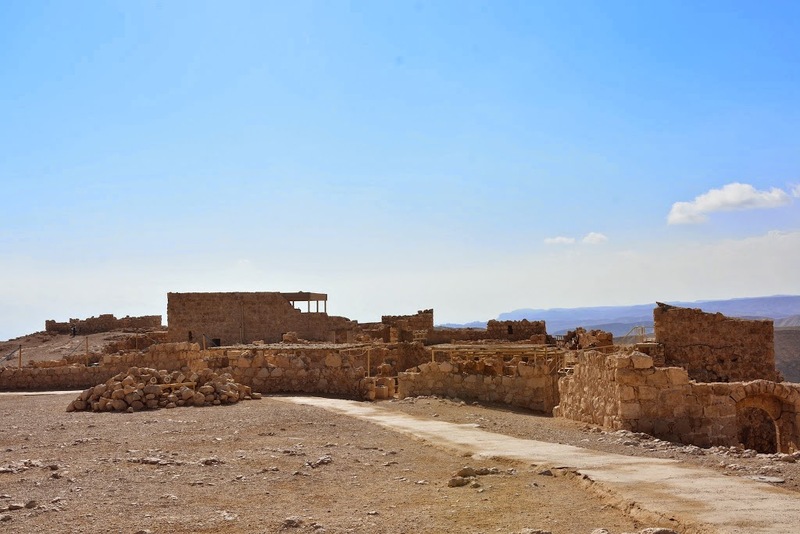 This is the largest and most complete Roman siege camp that remains today. 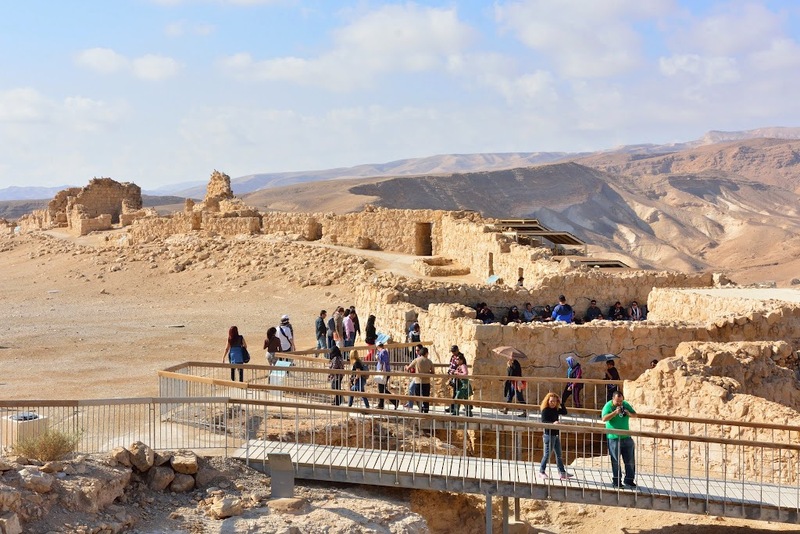 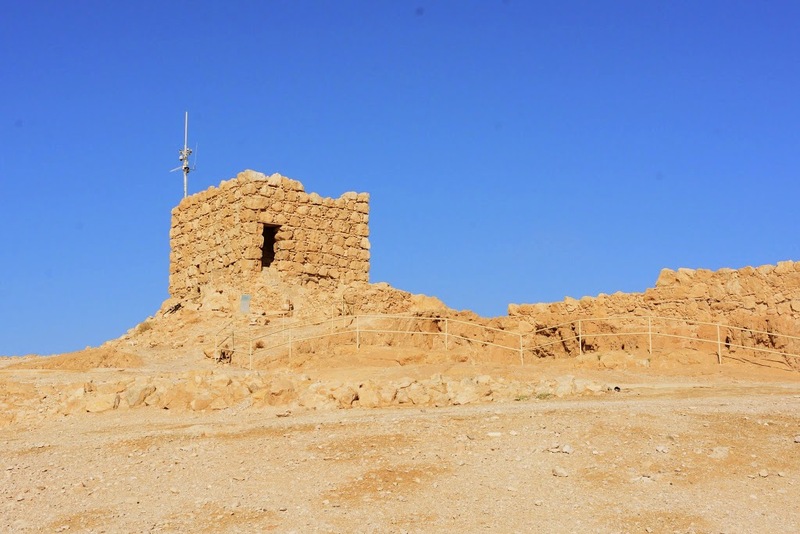 In 2001 UNESCO declared Masada a World Heritage Site. 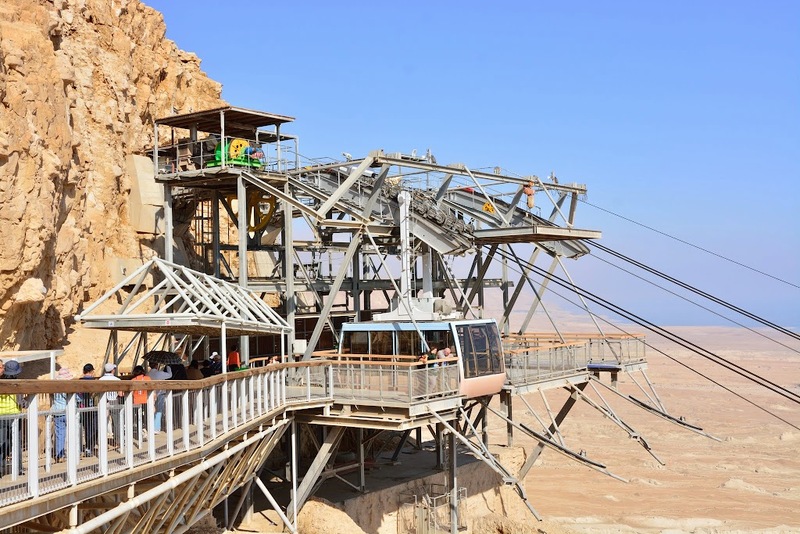 Entrance to the park via a wooden bridge. 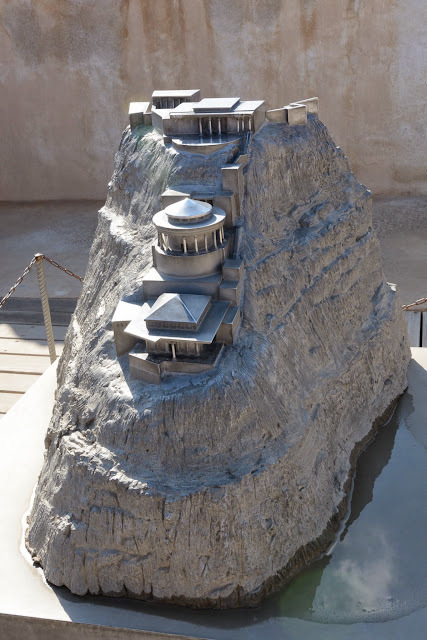 Model of Herod's palace - Upper terrace, middle terrace & lower terrace.